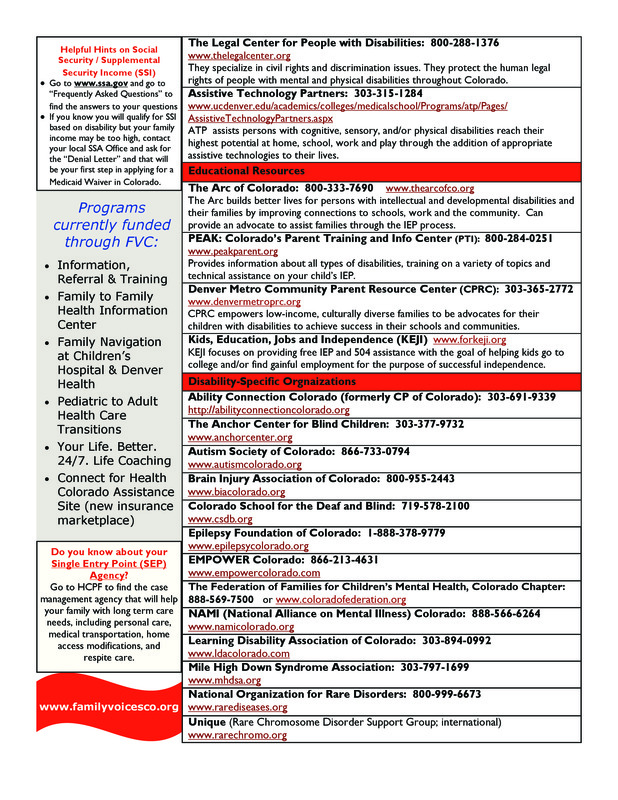 It is Tuesday and that means that Family Voices Colorado has a interesting Fast Fact for you! This week we are showcasing our Frequently Used Resources Fast Fact Page! En Espanol! 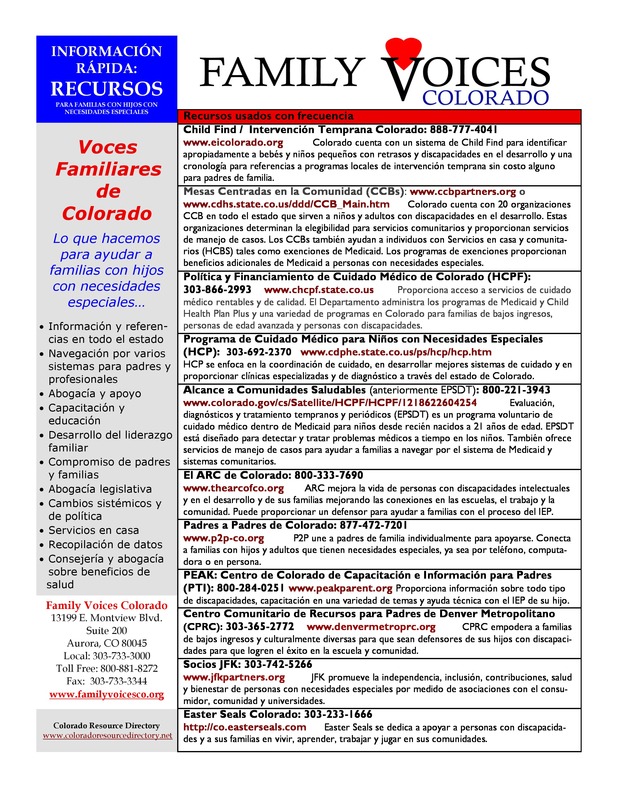 If you are unfamiliar with Fast Facts, the Family Voices Colorado team developed a number of informational sheets for the convenience of our families! We have a page on our website dedicated just to those Fast Facts! 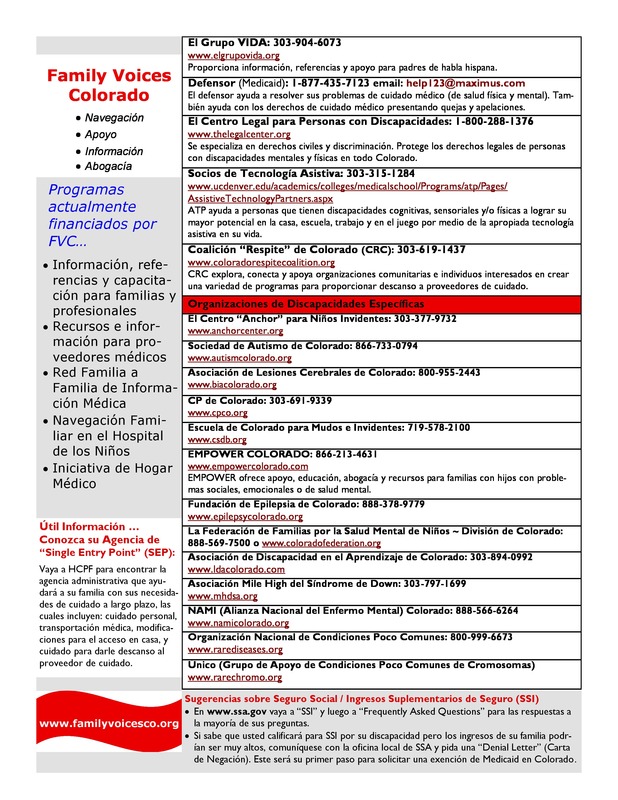 You can access that page here for more Fast Facts!